Alternate title: Thanksgiving Travel Treats! 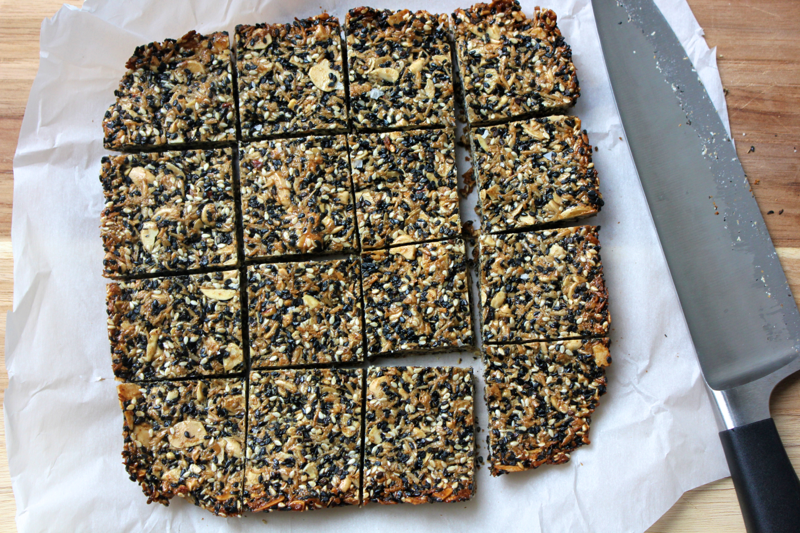 These bars are for the sesame lover or anyone who appreciates a crunchy-chewy, healthy snack. 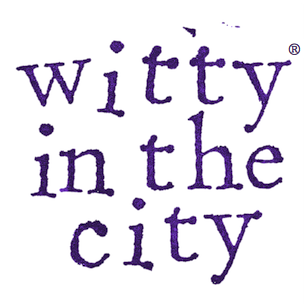 They remind me of sesame candies- those small rectangles wrapped in crinkly plastic. But this version is much less sweet and less sticky. 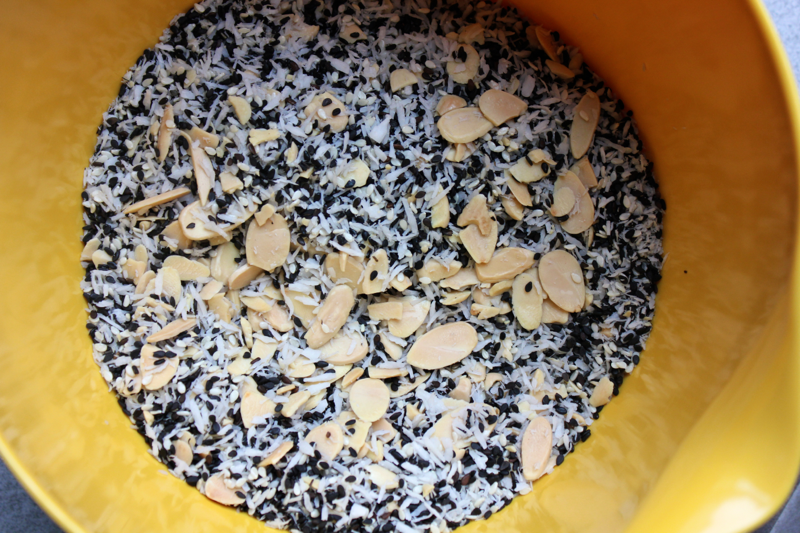 And with the addition of almonds, or another nut of your choice, they have more depth. 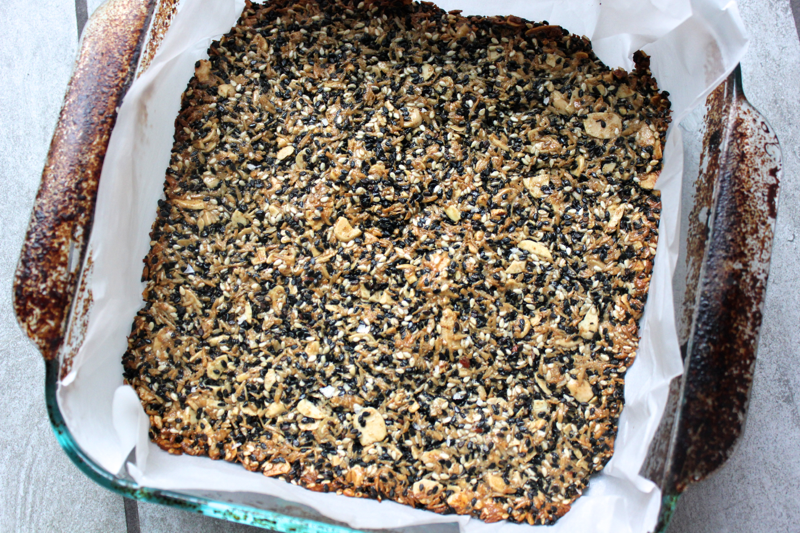 Perfect for road trips, train rides, plane rides, or breaking up the monotony of a daily routine, make a batch of these bars and watch them dwindle. To make them, heat your oven to 350 F. Spread 1/2 cup sliced almonds, or another nut of your choice on a baking sheet, and put them into the preheating oven to toast. Remove the nuts when they become fragrant. 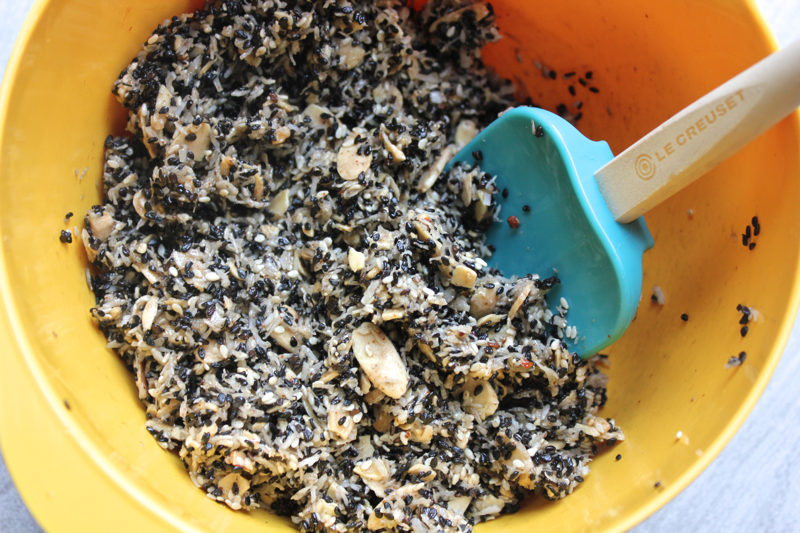 In a medium bowl, stir together 3/4 cup of sesame seeds (a mixture of black and white ones look pretty), 3/4 cup dried coconut flakes, the toasted almonds, and 1/4 teaspoon of salt. 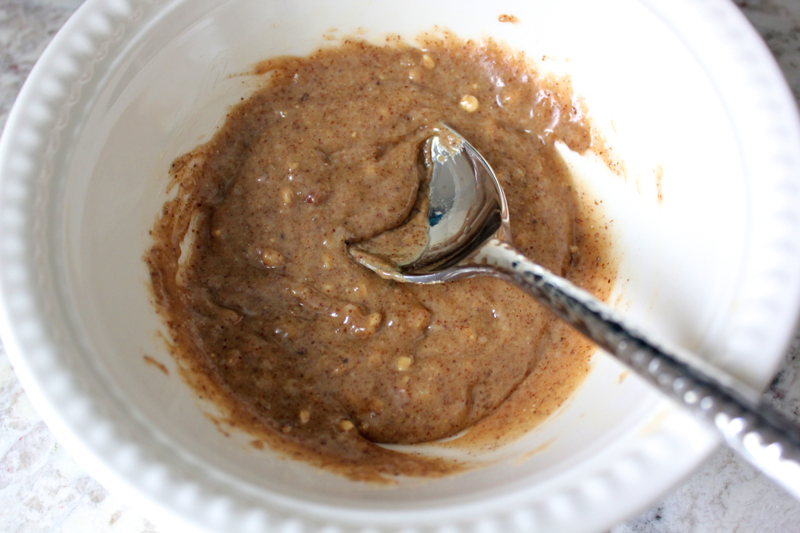 To a small pot or bowl, add 1/4 cup of honey and 2 tablespoons of almond butter or another nut butter. Heat them so they loosen up, and then stir them together. Add the heated wet ingredients into the bowl of dry ingredients, and use a rubber spatula to stir them together very well. 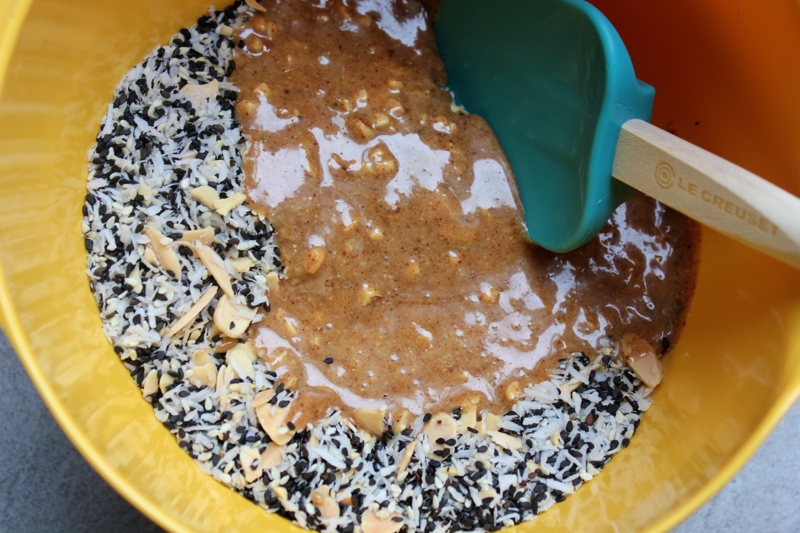 It takes some work- push and spread the honey/nut butter around until it’s evenly disbursed. Line an 8×8 inch baking dish with parchment paper, leaving some overhang, and then press in the sesame seed mixture. Use a piece of wax paper to press down on it and compact it evenly. Sprinkle a pinch of flaky sea salt over the top, and press that in as well. Put the pan into the oven for 20 minutes until the edges of the sesame seed mixture are golden brown. Remove the pan from the oven, and let the mixture cool for a few minutes. Then, use the edges of the parchment paper to lift the contents out of the pan, and let it cool until it’s easy to handle but still warm. 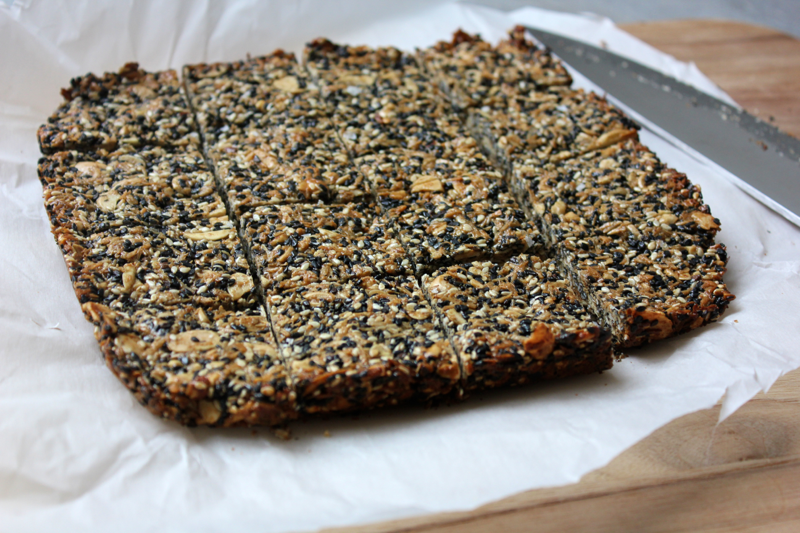 While still warm, slice the sesame seed block into 16 bars, and allow them to cool completely. If you let the bars cool all the way down before slicing them, they will be crispyish and much more difficult to cut cleanly. Store the bars in an airtight container between snacks, and be sure to check your teeth for stray seeds!